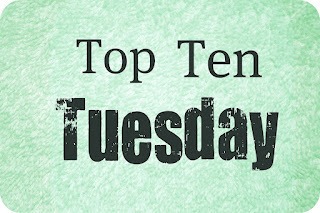 It's a bit funny, this week's topic for Top Ten Tuesday. Mostly because I usually see people complaining that too many books are in a series and series fatigue seems to be at a record high at the moment. But that's not what we're discussing today. Today, we're discussing those books you want just that little bit more about... I've chosen just 9 standalone books in which I hope there are sequels of in the future. What do you think? Do you agree? Disagree? Which books do you want sequels for? Let me know in comments. Zoe Marriott has written about the request she receives for a Shadows on the Moon sequel and having read that most and seeing her point of view on it, I do agree with the decision for it to remain a standalone book. ...And still I want one. I fell hard for these characters and the setting and the story that I just want more. I'm greedy like that. Isn't Eleanor and Park an amazing book? I've heard murmurings on Twitter that Rainbow Rowell does have ideas for an Eleanor and Park sequel and that news makes me incredibly happy. I love the idea of a future in which there are more stories about Eleanor and Park and their beautiful relationship. This is a book that I've only just finished reading a few weeks ago. But even if it wasn't, I feel like this book would still stay in mind for a long time yet to come. I thought Stolen was such a powerful, emotional and wonderful book. I did read on Lucy Christopher's website that one of her frequently asked questions is 'will there be a sequel to Stolen?' and happily, she's written that she'd like to write just that someday. For now, you can look forward to her new book (which is also brilliant!) this October. I love this book and its premise. I thought Sangu Mandanna wrote it so beautifully that I think what I want is just to read another book by her, not necessarily a sequel. Though I'd love that anyway. I thought the characters in this were all incredible. Not just the main characters, but all the wonderful supporting characters too. It says on the author's website that she hopes it'll be a series too, so that sounds very promising! Ooh, do I adore Cath Crowley. I think she writes in such a beautiful, beautiful way and I think that Graffiti Moon is absolute perfection. I want to crawl into the story of Graffiti Moon and hang out with everyone and be involved in glass-blowing and graffiti art and talk about poetry and fall in love. That would be magical. You know how Melina Marchetta wrote The Piper's Son, a sequel of Saving Francesca? And everyone who read it had their hearts broken wholly and completely and were never the same again? That's what I want now for the characters of Jellicoe Road. Or Looking For Alibrandi or absolutely any of her characters. I'm not fussy. Just give me anything. *cough* This book is definitely not on here because I have a small crush on John After. At all. But... now that that idea is out there, how much would love to see more of the relationship between Meg and John? I wouldn't be complaining! North of Beautiful is such an amazing book about image and identity and I loved it completely when I read it a few years ago. It very quickly became one of my favourite ever books and it is now on a very short pile of books that I would like to re-read soon. And because I loved it so much and I still think about it long after I finished that last page, I reckon it'd be a good story to revisit! I know the series is over ... Voldemort has been defeated, we see Harry, Ron and Hermione married with children and settled down and hopefully happy. But come on, all those children of theirs off to Hogwarts is just asking for more books in the series, is it not? I want more. I want to know what happens to Hagrid and I want to see Teddy and Victoire fall in love. I want to see Harry's boys get into mischief like you just know that they would. I want to see what Neville Longbottom as a Professor is like. I just want more. I'm still not ready for all the stories to do with this world being finished forever. There's so much possibility here that it can't just be finished already. What do you think of my choices? Which stories would you like a sequel for? Will and Lyra! Oh my god, I'd forgotten them. Yes, that ending BROKE MY HEART. Surely there was a way in which they could end up together?! It would be amazing if either of those books ended up with a sequel. I would be very happy. I really, really want a HP sequel, but I also don't. Could she recreate that magic? It might not be the same, which would be disappointing ... but I'd still want one. just to know. Great list! I totally agree with E&P :D Maybe this will spur her to write one? Stolen sounds really good, and I'll definitely have to check it out soon! Stolen is brilliant, I highly recommend that everyone read it! You DOOOOO want to read The Piper's Son, you do, you do. Or maybe I just want you to now :) It's amazing though. Harry Potter made it to my list too. I wish there were more!